The indicator also includes an Inside bars scanner. 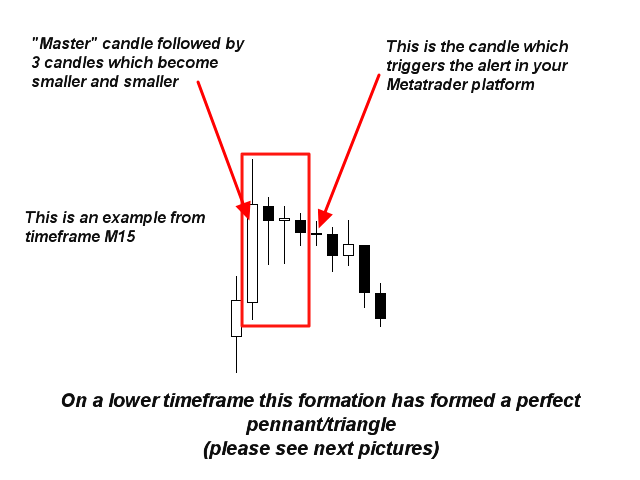 It can for example be used to detect a special type of Inside bars formation which is formed by a Master candle (MC) followed by 4 inside candles (please see the strategy explanation below). 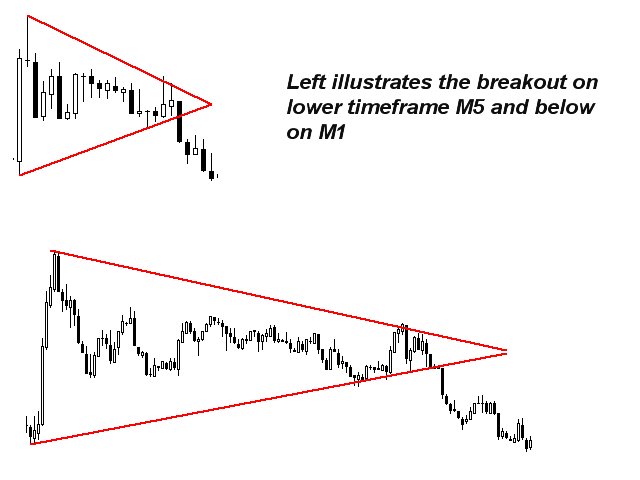 Separate indicator can be found here. Minimum amount of inside bars: Default is 6 (4 for MC str.). Maximum amount of inside bars: Default is 20 (5 for MC str.). You sell very good tools at a good price. Thank You. Keep it up! 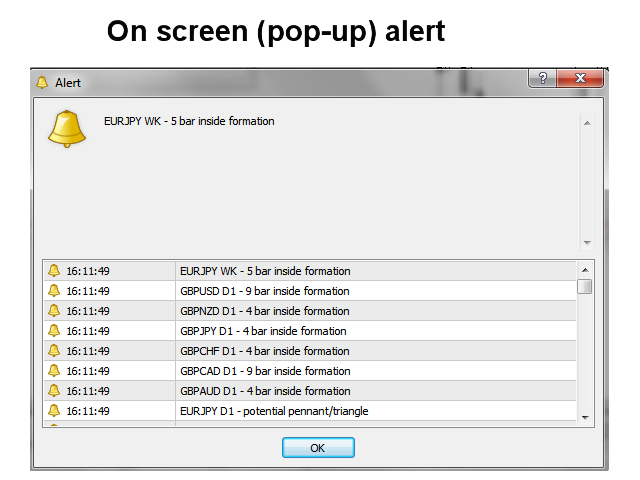 One of the most powerful tools in trading and a great seller! I recommend downloading this book /google it, it's free/ - "Encyclopedia of Chart Patterns" by Thomas N. Bulkowski. Update: Great signals so far. Works great on indexes as well. 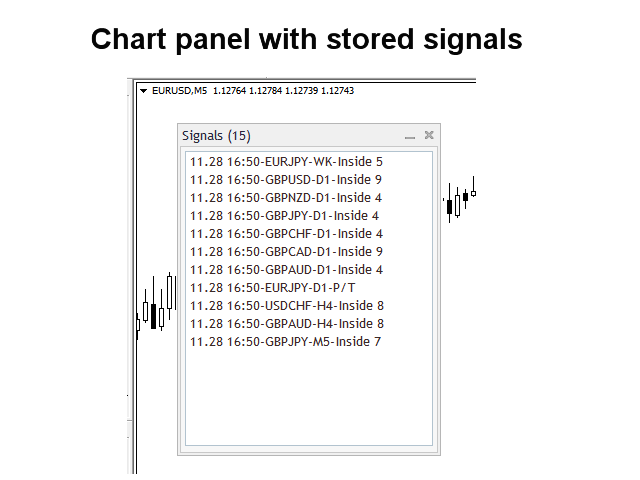 - added an interactive panel to the chart where the indicator has been loaded.